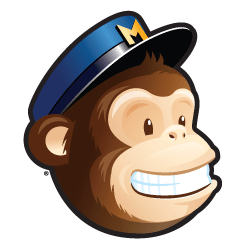 We at Joomlaproffs would like to tell about MailChimp newsletter. MailChimp is a global newsletter service where you pay for the number of subscribers and the number of sent messages. Small businesses can also survive on the free version which covers 12 000 letter a month and up to 2000 subscribers. An additional reason why we like Mailchimp is that it can be integrated with Joomla so you control everything from their admin pages. We also design templates into Mailchimp that allows the newsletters can also match the website's layout. read more about Mailchimp or contact us to learn more about the templates for newsletters.